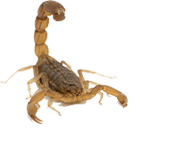 We specialize in the elimination of German Cockroaches in Gilbert, Chandler, Arizona area. 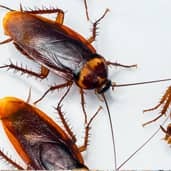 These roaches are common intruders that produce bad odors and noise in the household. Immediate action is recommended. Cockroaches are found world-wide and love warm climates like here in Gilbert and Chandler, Arizona. Cockroaches enter the home in diverse manners, through vents, cracks, crevices, drain pipes and sewers. They flourish in an Arizona home because of the ample of amount of food, water, warmth, and nesting sites. They reproduce very quickly. Generally, if you spot one, especially during the day, it could signal a more sever contamination behind your walls. Cockroaches are skilled at hiding themselves and their eggs, such that, without the proper equipment, it is near impossible to eliminate them. We recommend saving time, energy, and money, by contacting us as soon as you notice one in your home. We will come out and do an inspection to utilize the most effective treatment method for you.